Want your Android device to be as multi-lingual as you are? Use the following steps to add additional input languages to your Android tablet—all without downloading any unwanted software or jumping through any rooting hoops. All of the changes you will need to make regarding language will be under the “Language and Input” menu in “Settings.” Navigate your tablet to that menu. You will see a “Keyboard & Input Methods” option. Tap “Default” to open a “Choose Input Method” popup. Then tap “Set Up Input Methods” > “Settings” > “Input Languages.” This menu chain will take you to the spot where you need to be to add several different languages to your device. Uncheck “Use System Language” to eliminate the concept of a “default language” on your Android device. Then move down the list of input languages and tap the ones you might want to use on your device. 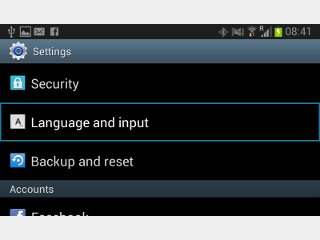 With these steps, you will be able to input any language you want into your Android device. You can also install new language dictionaries on your tablet, also through the “Language and Input Settings” menu—in case you need some autocorrect assistance with your second device language.